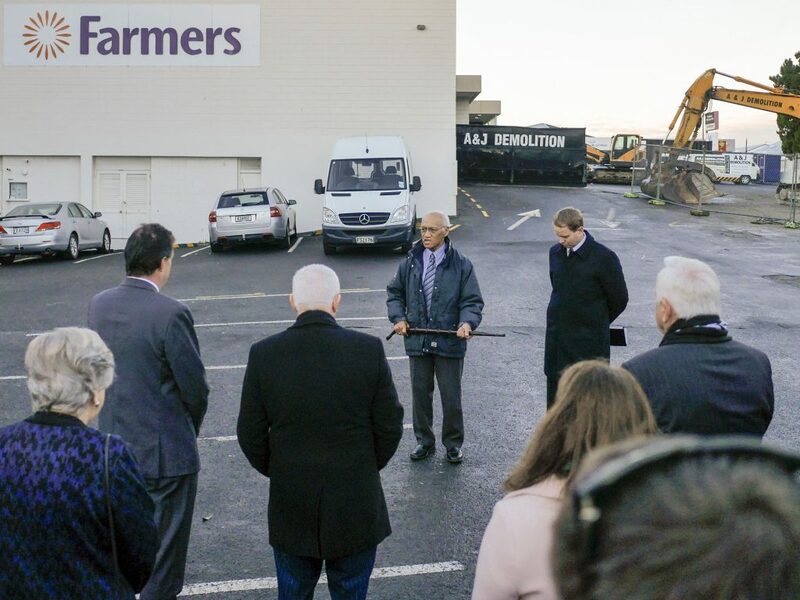 A morning karakia has been held at Farmers’ Tauranga CBD site to mark the official start to the landmark redevelopment. A group of kaumātua led by Tamati Tata, councillors, Farmers’ managers and contractors gathered at the Elizabeth Street and Devonport Road corner today for a karakia (blessing) before demolition starts on the main Farmers building. Plans for the more than $100m redevelopment were submitted for resource consent after extensive public consultation, including with Ngāi Tamarāwaho, the Ngāti Ranginui iwi hapū whose people traditionally lived in the area. RCP are providing project management services for design and construction now that the demolition has begun.